In our last post we talked a little bit about dividend income vs. interest income. This post is going to focus on why dividend paying stocks are a really good buy right now and probably offer the best opportunity over the long term to find financial appreciation. Although there are never any guarantees, sometimes the slow steady approach is the best bet, especially if you invest wisely in good quality stocks. This means stay away from get rich quick growth only speculative stocks! And definitely do not put all of your money into one stock, mutual fund or bond. It is just too risky. But back to dividend stocks and why we like them so much. The assumption is that you invest in a AA or AAA blue chip kind of stock that is paying reasonable dividend rates. Right now the yield for these types of stocks appears to be around 3% to 5% depending on the price of the stock on any given day. While this is not a fantastic yield it is reasonable compared to current interest rates on bonds and certainly better than treasury bills. If you also purchase a stock that has a history of increasing their dividends on a regular basis, even better. You have built in growth into your income stream. So if you own a $100 stock that has a yield of 4%, this means you are getting $4 in dividends every year which you can take as cash to reinvest, take as income or participate in a stock reinvestment plan if that is offered. The stock is going to vary a great deal depending on the volatility of the market. It could be $110 one day and two weeks later down to $80, but the important thing is that you still get your $4 dividend unless the company finds itself in trouble and has to stop paying dividends. Some stocks never move to much. They will be the same value year after year, paying out their dividends to their investors. On the other hand if you have a dividend growth stock, on average the stock is going to appreciate based on how investors evaluate the company. While you never make money until you sell, your investment can increase over time. All the while you are receiving dividends from the stock. Some people will hold the stock for a long time preferring to receive the dividends as income. As stocks appreciate , the yield will go down since the dividend remains the same yet the money that the stock is worth goes up. Investors will sell the stock to reinvest in something else that pays a better yield. As a result a company is forced to increase their annual dividend to bring the yield up, retain investors and anyone who is looking for income. The net result is that you can gain from dividends. 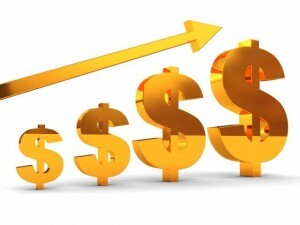 The dividends may increase over time and the stock itself can also increase over time providing three ways to make money. However there is always a caution. Stocks also go down in price for a whole variety or reasons and you must evaluate every situation and not panic. I was told by one adviser that one of his clients portfolio is all dividend paying stocks. The portfolio lost over $100,000 during the 2008 depression. She did not panic, just continued to collect her dividends from her blue chip stocks. Today her portfolio has not only recovered what she lost, it has also grown a great deal as well! As interest rates rise, you may see the value of your stocks decline. Unless they raise their dividends to increase the yield. While you may not like the value of your stocks going down, your main focus is on income generation. Increasing dividends will improve your income level considerably. If you are planning to invest in stocks, aim for blue chip dividend paying stocks. Diversify and monitor on a regular basis. Avoid the quick money schemes. If a company does get into serious trouble, bail out before you lose it all! i have adopted this strategy of going with dividend stocks and it is really doing well. I have the income and it is going directly to a money market. when i need money i take it from the money market so i do not have to sell anything low. it is really working for me.